DENVER, CO – March 26, 2018 – Today, Mantix4, a cyber intelligence platform, brings a new threat intelligence solution to any business interested in dismantling a cyber threat before it causes disruption. The Mantix4 solution provides complete visibility into networks, turning the world of cyber intelligence from reactive to proactive. The solution enables companies to analyze, hunt, disrupt and neutralize potential cyber attacks. Mantix4 is developing partnerships with leading security distributors and also offers the M4 cyber threat hunting platform to managed security service providers (MSSPs). “We have already formed distributor partnerships with cloud solutions provider, Pax8 and global enterprise software distributor, Prianto USA,” said John Stubbs, CEO and co- founder, Mantix4. Mantix4’s cyber intelligence platform was originally developed by a team of defense intelligence, cybersecurity, and military experts to reduce the complexity of current cyber intelligence solutions so that any security analysts with minimal training can become a cyber threat hunter. Effective cyber security involves human intel and curiosity coupled with automated and artificial intelligence. Mantix4 founders, John Stubbs and Chris Dodunski, have a combined tenure of 50- years in the cybersecurity and defense industries. “Cyber attackers are becoming increasingly sophisticated and well-funded, and we knew it was vital to develop a platform that utilizes white hat hacking to lure, expose and eliminate threat actors before they detonate and cause serious harm,” said Chris Dodunski, CTO and co-founder, Mantix4. Due to the shortage of IT and cybersecurity personnel, it is more important than ever to work with a solution that can turn virtually anyone into a threat hunter with minimal training. Mantix4 was designed to cut through noise and clutter by proactively identifying and prioritizing abnormal patterns and behaviors threatening a network. The goal of the technology is to allow anyone within an enterprise setting the ability to predictively, proactively and forensically identify and remediate dangerous cyber threats before reputations are tarnished and money is lost. Mantix4 will have a product demo in booth number 4442 during RSA 2018 and invites members of the press to email our communications team for a product demo during the show. Mantix4’s M4 Cyber Threat Hunting Platform was originally developed in 2011 by a team of defense intelligence, cyber security, and military experts. 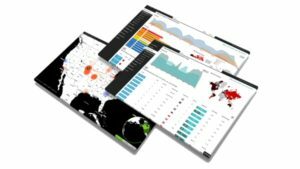 Mantix4 leverages advanced threat intelligence, big data analytics, and behavior anomalies, to give users context-based threat intelligence through a highly-visual platform. The system can even detect and neutralize sophisticated breaches, including advanced viruses that can ‘play dead,’ and lie dormant in a company’s systems for months. The solution is delivered over the cloud in a Tier III Gold Certified Data Center, and also through MSP/MSSPs with security operations centers throughout the United States, Canada and Europe. Within 24 hours, the platform is proactively collecting and displaying actionable information about inbound, outbound and lateral traffic.